The team started off well with a 56-56 score, but slipped from the second set to continue their disappointing run at the Konyaalti Beach Park. The men’s recurve trio of Mangal Singh Champia, Atanu Das, and Jayanta Talukdar had earlier lost to the Malaysians in the quarter-final of the Final Olympic Qualifying Tournament held on the sidelines of the World Cup, putting them out of medal contention and a place in the Rio Olympics. ODI cricket as we know is going to change completely. Very soon. 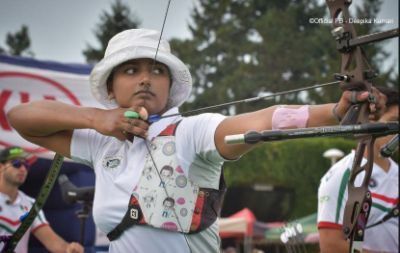 Atanu Das and Deepika Kumari will take on the top-seeded Koreans on Sunday in the recurve mixed pair final, while the women's recurve team of Deepika, Laxmirani Majhi, and Bombayla Devi Laishram will go up against Italy in the bronze medal play-off. They had earlier lost their semi-final against Russia 1-5 at Turkey. These Indian kids can create footballing history, but they need your help. You can help Slum Soccer send 20 of our most talented footballers to represent INDIA at the Homeless World Cup at Glasgow. Click here to know more.